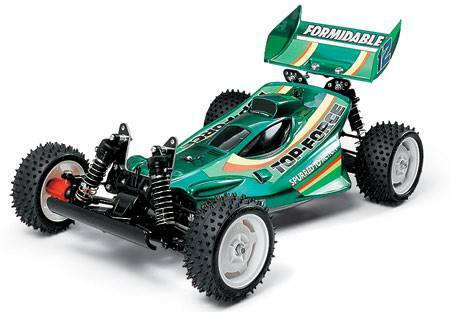 A new classic Tamiya for re-release early next year. 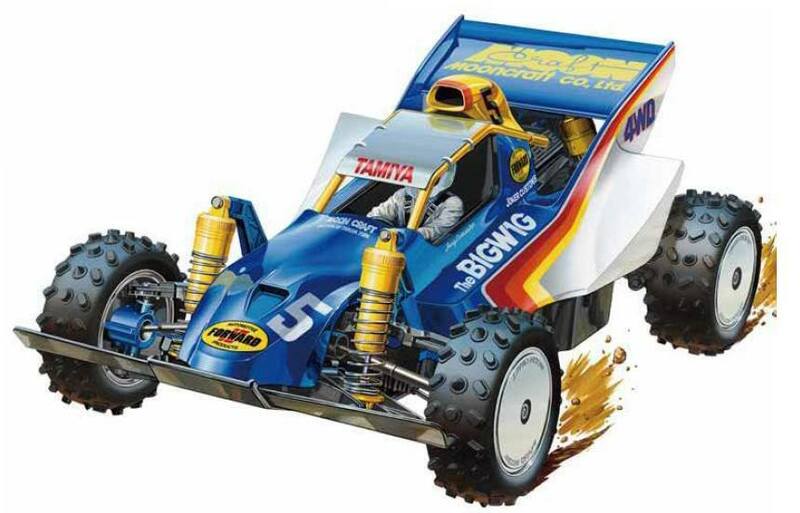 The Tamiya Bigwig was built to commemorate 10 years of Tamiya making RC cars. Takuya Yura a renowned car designer created the first 'wing style' shell, which kept the buggy firmly on the track. It also featured rack and pinion steering, shaft driven 4WD and the kit came with the mighty Technigold motor. The car was very expensive when I was a young man, but it didn't stop me always wanting one. When you actually got to see one running with at 8.4v battery they were a sight to behold! 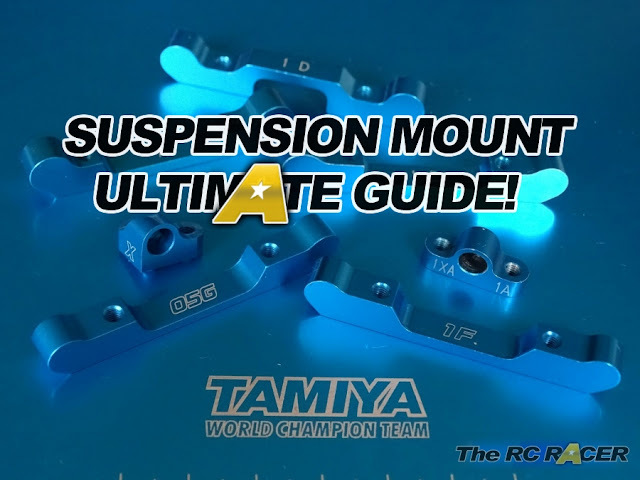 It is also good news for those who want to race in a vintage series, as this car was the elite member of the Tamiya Boomerang family, a car which I won my first ever racing trophy with.